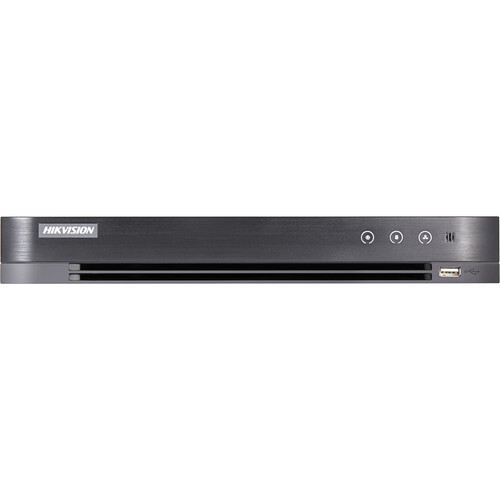 Record from up to eight HD-TVI or analog video devices with the TurboHD 8-Channel HD-TVI DVR from Hikvision at resolutions of up to 1080p at 30 fps and stream at up to 15 fps. 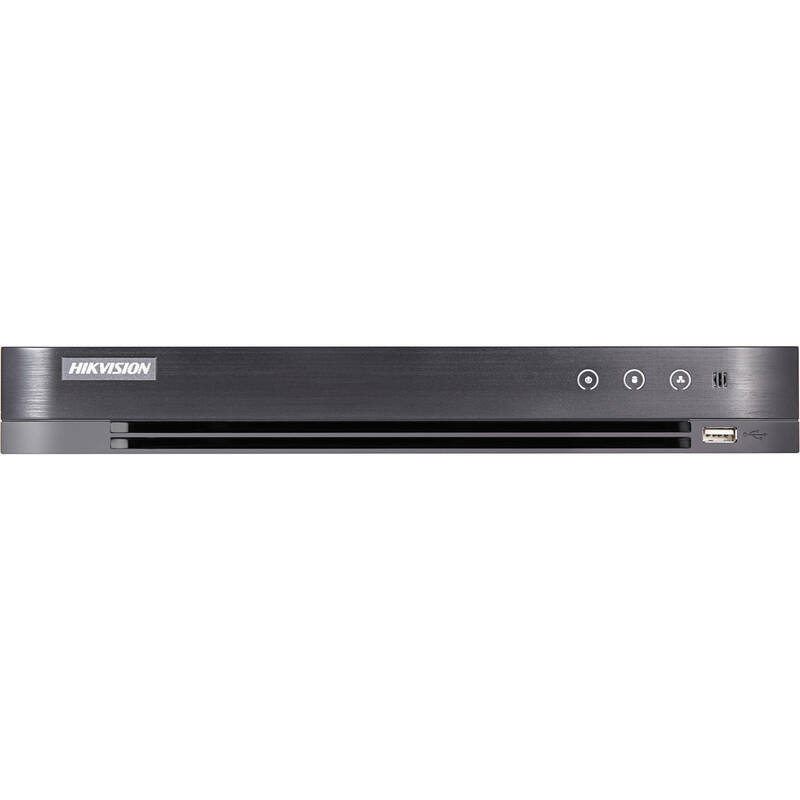 Equipped with two SATA ports, each supporting a capacity of up to 8TB, this DVR supports up to 16TB of internal storage (3TB preinstalled). External storage options include network servers and USB storage devices. Network bandwidth use is optimized while ensuring high-quality recording and playback using dual-streaming H.265+, H.265, H.264+, or H.264 compression. This digital video recorder supports power over coaxial (PoC) cameras, allowing you to supply power and receive video over a single cable. The DVR enables simultaneous live viewing and playback of up to eight channels via its CVBS port at resolutions up to 704 x 576 and its HDMI and VGA ports at resolutions up to 1920 x 1080. Eight channels of video can be viewing streamed at a bit rate of 32 kb/s to 10 Mb/s. The DVR is equipped with BNC video and RCA audio connectors, and a half-duplex RS-485 serial port for remote control.